If you’re a business owner who is determined to “crack” 7 figures, you’ve come to the right place. You’re about to gain some powerful insights on how to crush the status quo, challenge the “six-figure myths” and create a fool-proof plan for taking your business to a million dollars – and beyond. This is your first step toward the clarity, certainty and control you’ve been waiting for. 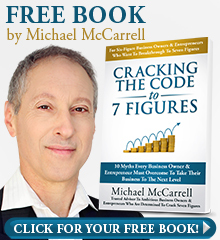 Michael McCarrell is a trusted advisor to ambitious business owners who are committed to taking their business to 7 figures. He has long been dedicated to helping business owners find “hidden” leverage points that can sail them past the 7-figure mark. Michael’s entrepreneurial roots run deep. He gained a thorough understanding of the trials and tribulations in business at a very early age. 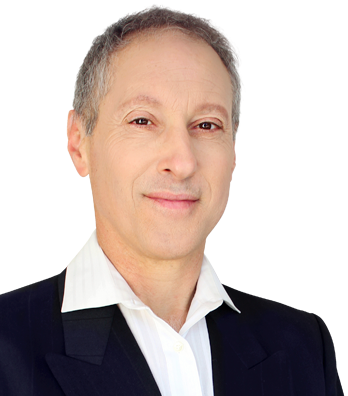 Through this understanding, he has nurtured many entrepreneurial firms to success, working within the deepest levels of their organizations. Michael realizes that one of the biggest problems for entrepreneurs is the fear that holds them in their comfort zone. He knows that to be successful, it requires using their discomfort just as an elite athlete uses physical pain to reach extraordinary levels of achievement. If you’re ready to challenge the “six-figure” myths, Michael wants to walk alongside you in taking your business to the next level. Are you working harder and doing more, only to get consistently disappointing results? Have you caught yourself starting to accept low sales numbers as the new normal? The truth is, whether it’s a matter of mindset, strategy or marketing, most businesses never cross the million-dollar threshold. For many, coming up short of 7 figures is about more than missing their revenue goals. It is often a rite of passage to a higher level of service in their business. 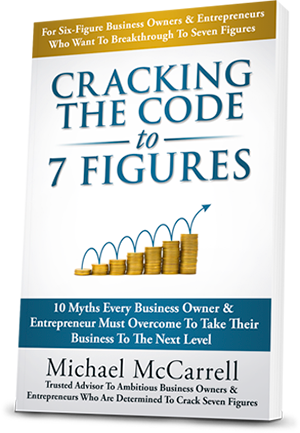 In his new breakthrough book, Cracking The Code To 7 Figures, Michael exposes the 10 myths every business owner and entrepreneur must overcome to take their business to the next level. In sharing stories, case studies and examples of how these myths can derail you from reaching 7 figures, Michael shows you how to break the hold these myths have over your business. He cautions that the snares of even one myth can keep you under seven figures, but once dispelled, there’s enormous leverage possible. Copyright © 2019 Michael McCarrell. All Rights Reserved.